Live Dealer Hold'Em is Now Online in New Jersey! Live Dealer Hold’Em is Now Online in New Jersey! When Live Dealer Games were introduced on GoldenNuggetCasino.com and BetfairCasino.com, players had a choice of three games only: blackjack, roulette, and baccarat. Now, by popular demand, you can add a fourth game to the mix–Live Dealer Hold’Em. Since 2003 Texas Hold’Em has taken the poker world by storm and is now far and away the most popular form of poker and in most poker rooms, the only form of poker being offered. Casino Hold’Em is not quite the same, but very similar, and while it can be played without a live dealer, the live dealer version is more fun. Most importantly,, even if you are relatively new to online gambling and find other table games intimidating, Live Dealer Hold’Em is so easy to learn and play, you will have the basics down pat in no time. It may soon become your favorite Live Dealer game! The main difference between Live Dealer Hold’Em and the game of Texas Hold’Em played in brick and mortar poker rooms is that you are playing against the house, rather than competing against other players. So on any given hand, there can be more than one winner at the table. Or there can be no winners because the dealer has a better hand that everybody. Live Dealer Hold’Em has a house edge a little over 2%. This is a higher edge than you face in Live Dealer Blackjack (following correct basic strategy) or Live Dealer Baccarat, but still less than half the house edge encountered in Live Dealer Roulette. There are also differences in the betting structure. In regular Texas Hold’Em, there is a rotating big blind and small blind, but in Live Dealer Hold’Em, there are no blinds and instead, each player must put up an ante prior to being dealt a hand. Along with the ante bet, each player has the option to make an additional “bonus bet.” The bonus bet will lose with most hands, but will pay off substantially when the player’s two hole cards combined with the first three “community cards” make a hand of a pair of Aces to a straight or a Flush or better. Once the ante and bonus bets have been placed, the dealer deals each player and herself two hole cards plus an additional three “community cards” in the center of the table (the flop). Players then have the option either to fold their hand and forfeit both the ante and bonus bet or, if they think their hand has potential, to “call” with a bet equal to twice the ante. After all of the players have acted, the dealer then reveals two more community cards (the turn and river) and also exposes her own two cards. There is no more betting on the hand. As in Texas Hold’Em, your final hand is the best possible combination that can be made of your own two cards and any of the community cards. However, the outcome of the hand (win or lose) is not based on whether or not your hand is better than those of the other players, but, with the exception of the bonus bet, whether or not it is better than the dealer’s hand. The dealer’s hand must be a pair of fours or better in order to for it to be considered a qualifying hand. If the dealer doesn’t have a qualifying hand, the players’ bets are returned to them. If the dealer does have a qualifying hand, the only way to win the call bet is to have a better hand. The payout on the call bet is even money. A player who has the same hand as the dealer will push and have the call bet returned. A player who cannot beat or tie the dealer’s hand loses the call bet. Winning ante and bonus bets are determined separately and paid off according to the following table. It should be noted that it is entirely possible to win the call bet, but lose the ante and bonus bets, or vice versa. GoldenNuggetCasino.com is the only NJ online casino so far to offer Live Dealer Hold’Em, but look for BetfairCasino.com to be adding the game as well in the near future. The Live Dealer Hold’Em game is dealt from the same studio in Golden Nugget Casino in Atlantic City where the other NJ live dealer games are dealt. Just like in brick and mortar casinos, Live Dealer Hold’Em is played with a real dealer and a single deck of real cards. No RNGs are used. Live Dealer Hold’Em is offered daily from 12 noon to 3 a.m. Like the other Live Dealer games, it can be played for real money only. The minimum bet is $1 and the maximum bet is $250. The game is listed as having a return to player (RTP) of 97.64%. This compares favorably with American Roulette, with an RTP of 94.74% and most online slot games, where the RTP is also around 95%. If the option to play online with a Live Dealer appeals to you because of the opportunity for social interaction, you will especially enjoy playing Live Dealer Hold’Em. Poker is a social game to begin with, and when you play Hold’Em in Atlantic City or any other casino, engaging in light conversation with the other players at your table is the norm. When you play Live Dealer Hold’Em you get the same opportunity to engage in conversations with the dealer and other players through the chat function. Moreover, the players at your virtual table are not your adversaries, so if there is any aspect of the game you need clarified, you shouldn’t hesitate to ask. Everyone is there for the same reason–to have fun and hopefully make some money. Your conversations with your fellow players might even be the start of some lasting friendships. Barbara Nathan is a professional writer with a Master’s degree in psychology and expert knowledge of casino, poker, and sports betting. In 2012, just prior to the official launch of New Jersey regulated online casino and poker gambling, she relocated from NYC to Absecon, NJ in order to keep tabs on important developments in the industry from day 1. Barbara is very familiar with each NJ online casino and what it has to offer, making her comprehensive, unbiased reviews and game analyses must reading for any online player interested in maximizing his or her bankroll. 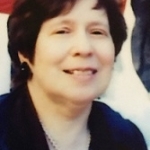 Barbara is also a certified literacy tutor and enjoys volunteering in the Atlantic City community. 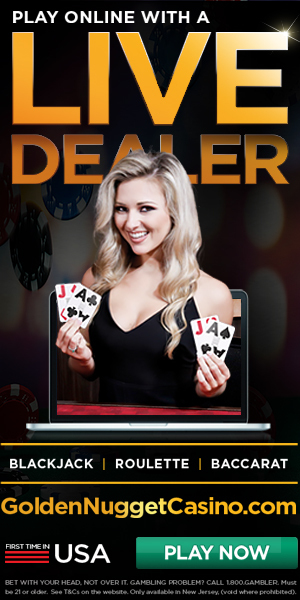 What NJ Online Casinos Offer Live Dealer? Play Live Dealer Games Now! Looking for a Great Place for Live Dealer Games? Try 888 Online Casino!